There is something about a high school romance turning into a long-lasting relationship that gets everyone all giddy and starry-eyed. For those of us raised on Nicholas Sparks' A Walk To Remember and The Notebook and Taylor Swift's "Mary's Song (Oh My My My)," that whole childhood sweethearts-turned-fairytale happy ending seems like the pinnacle of romance, the kind where you sigh dreamily because all is right with the world. For celebs who married their high school sweethearts, I imagine it is the same kind of feeling — especially to be with someone who "knew you when," before the fame, before the glamour, before the celebrity. And though there are many stars who are dating equally-as-famous partners (or simply met the loves of their lives way past high school), there is a surprising amount of celebs who are still with the same partner since those childhood days of making out against lockers and holding hands while walking to class. While the allure of snagging must be strong, props to these celebs who knew The One when they found 'em, and never let them go. Check out 12 celebs who are still with their high school sweethearts below. 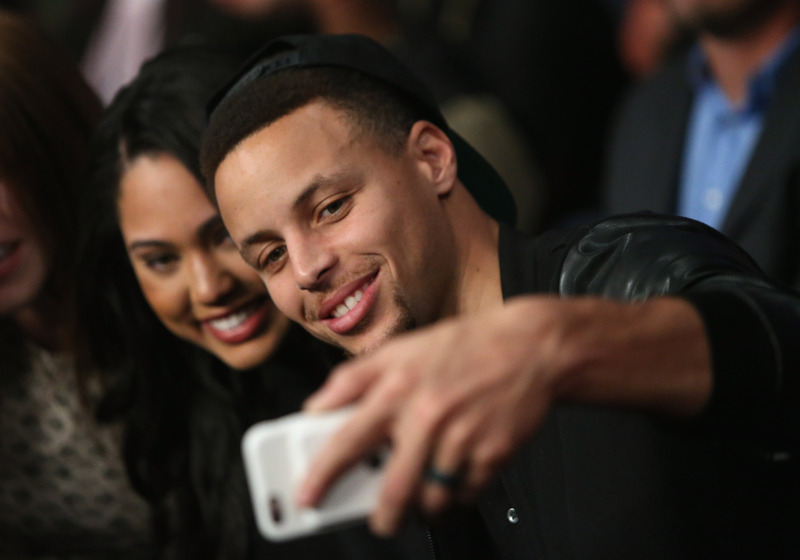 Steph and Ayesha Curry first met in a church youth group when they were in high school. The two later dated in college and tied the knot in 2011 — and are now #FamilyGoals with their adorable kids Riley and Ryan. Bon Jovi and Dorothea Hurley have been together since they were just teens at a New Jersey high school. The two eloped to Vegas in 1989 and have been enjoying wedded bliss (and four kids later) ever since. I don't know what's up with all of these bonafide rockstars staying with their high school romances (the U2 singer and his wife met at high school in Ireland), but I am ALL about it. The Glee star and her regular Joe husband (if only all regular Joes were that good looking...) met in high school in Arizona, according to Wetpaint. The two have been married since 2015 and have an adorable little girl together. The singer-songwriter met his future wife back in the SoCo days, sticking by him through McMahon's battle with leukemia and a breakup that inspired the iconic Jack's Mannequin track "The Mixed Tape." The two have been happily married since 2006 and have an adorable daughter Cecilia, who inspired McMahon's song "Cecilia and the Satellite." Is it any surprise that good, ol' reliable Richie Cunningham married his high school sweetheart? Howard and Cheryl Alley have been happily married since 1975 and have four children (including actor Bryce Dallas Howard) and just as many grandchildren. It's safe to say that Catelynn and Tyler Baltierra have weathered a storm or two together. Since getting together in middle school, the Teen Mom stars have publicly dealt with placing their daughter Carly up for adoption, coping with Tyler's father's drug addiction and jail time, and Catelynn's anxiety and post-partum depression. The two are now stronger and more in love than ever, tying the knot in 2015 and parenting their adorable daughter Novalee. Paris & Nicky Hilton's mother met her future husband — Hilton hotel heir Rick Hilton — when she was just 15, marrying him at the ripe ol' age of 19. They've been married for 37 years! The Teen Mom 3 stars have had their share of ups-and-downs over the years, but are committed to their marriage and family. After giving birth to Gannon when she was still in high school, Mackenzie later welcomed Jaxie and is now pregnant with Baby-Boy-to-Be. Jeff Daniels met his wife while they were in high school together in the small town of Chelsea, Michigan. The two would act in the school plays together, and it was fate. "When we were doing musicals, the whole town was in love with him," Treado told People in 2005. "I was always the townsperson and he was the lead." Three grown children and decades of a marriage later, the two are happier than ever. Ja Rule and wife Aisha Atkins are very much still together (since first meeting in high school back in the day) — despite rumors that the rapper left his wife for his prison cellmate in 2013.